A new truck driver endures the most challenging part of his entire career, in their first year. Just a few things the new trucker ought to be aware of, so you know what to expect in your first year. The pay is often lower than a more experienced driver, the loads dispatched to new drivers aren’t usually premium loads, new drivers are often kept out on the road for very long periods of time, and sometimes trucking companies take advantage of new drivers. This first year may be somewhat stressful, but is necessary to get in hours behind the wheel, and get experience to add to your resume. Trucking companies like to hire drivers with experience, so you may not have much choice when it comes to your very first job in the trucking industry. After the first year, things should start to get better….. the driver will usually travel with his own company truck, and not as a team member/driver trainer, so become more independent. The loads will be better and things will fall into place. If you love to drive, hang in there… it’ll be worth it in the long run. For more information to find out what to really expect from that first year as a CDL driver, check out http://www.smart-trucking.com/new-truck-driver.html . Answering a few questions about the pros and cons of trucking..
He’s only been driving for about four years, but he sure knows a thing or two about trucking. Jordan Laventure won AllTruckJobs’ Trucker Trivia contest during the 2018 National Truck Driver Appreciation Week. Truck drivers could enter the contest by answering a trivia question per day on our Facebook page. Every time that they answered a question right, they were entered for a chance to win! Jordan answered several of the true/false questions correctly and just happened to be randomly selected as the winner. As a result, he received a $100 Amazon gift card. Luckily for us, he agreed to an exclusive interview so that we can get some insight into what it’s like for him as a truck driver in Pennsylvania. Check out the interview below! 1. How long have you been driving? I have been driving for different companies since I was 19, worked my way up to a district manager at the company I work for now. 4. What type of driver are you? 5. What type of freight do you haul? 6. What company do you drive for? 7. What made you decide to become a truck driver? I have always enjoyed driving, and making a living doing something I love has always appealed to me. The independence is nice too, I can’t imagine being stuck in an office all day. My office is the road. 8. What’s your favorite part about being a truck driver? Constantly being on the move, never having to stay in one place, and getting to explore new areas, even though I am in a huge truck. 9. What do you plan to spend your gift card on? Things to make my workday go by a bit smoother: a new water bottle, and a Bluetooth speaker for music. 10. Is there anything else you’d like to say to your fellow truck drivers out there? Let’s just keep being safe and loving what we do. Again, a huge thanks to Jordan and everyone else who participated in our Trucker Trivia contest! We had a great time coming up with questions and interacting with our followers. Until next year! According to the National Institute for Occupational Safety and Health, a 2014 National Survey of Long-Haul Truck Driver Health and Injury reports that about 26% of truck drivers in the United States have high blood pressure, also known as hypertension. Among truck drivers, the report also states that 88% are at risk for developing either hypertension, smoking, or obesity. High blood pressure is one of the many major health concerns for truck drivers because it is the cause of multiple cardiovascular health problems. Hypertension is caused by a variety of factors such as obesity, stress, smoking, alcohol, and family history to name a few. 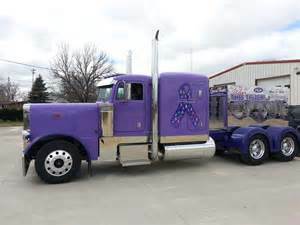 However, truckers can combat this medical condition by consuming these foods that lower blood pressure in truck drivers. According to the American Heart Association, “about 85 Americans — one out of every three adults over age 20 — have high blood pressure.” Known as the silent killer, high blood pressure, or hypertension, occurs when the body generates a high force of the blood (blood pressure) against the artery walls. Hypertension is one of the leading cause of heart diseases such as strokes, heart attacks, and kidney failures to name a few. This is because high blood pressure can cause damages in one’s arteries, blood vessels, and even kidneys. Managing your blood pressure can be an easy task when you implement a healthy diet in your everyday life. A large portion of what causes high blood pressure derives from poor eating habits. Therefore, increasing these foods that lower blood pressure in truck drivers is your first step towards a healthy life. Potassium: Foods rich in potassium are great foods that lower blood pressure in truck drivers. This is because potassium lowers your sodium intake within the body. In addition, potassium loosens the force within your blood vessels. An important cause of hypertension is having too much sodium in your diet, which causes your blood vessels to retain too much water. As a result, your body will require more force to pump the blood, thus increasing your blood pressure. To incorporate more potassium into your diet, increase your intake of fruits, vegetables, and proteins. For example, bananas and pomegranate are two fruits that are rich in potassium. Leafy greens such as spinach, kale, and romaine lettuce are also great ingredients for a potassium rich salad or side dish. Seeds such as sunflower and pumpkin seeds are perfect for a potassium-rich snack. Kidney beans and potatoes are also foods rich in both protein and potassium. Nitric Oxide: Foods rich in nitric oxide will help manage your blood pressure. Dark chocolate, beets, walnuts, and arugula are some foods that have high contents of nitric oxide. Get Your Daily Exercise: Aside from consuming these foods that lower blood pressure in truck drivers, maintaining a healthy diet also consists of physical activity. Exercise will help supply your blood vessels with more oxygen to lower your blood pressure. Stop Smoking: Not only is smoking bad for your respiratory system, but it can also damage your circulatory system by increasing your chances of gaining hypertension. This is because tobacco contains chemicals that can cause the lining of your artery to narrow, making it harder for your blood to pass through the arteries. Drink in Moderation: Excessive drinking can cause multiple kidney failures, so drink in moderation to lower your chances of health problems. Drink Plenty of Water: Increasing your water intake can help lower your sodium levels, thus helping your body monitor its blood pressure. High blood pressure, or hypertension, is a silent killer that plagues truck drivers across the country. Incorporate these foods that lower blood pressure in truck drivers into your meal planning to prevent further health problems. Here’s a few tips to help your truck reach 300,000 miles. A stitch in time saves nine is my motto when it comes to high milage vehicles. Keep a close eye on items like brakes, belts, hoses, etc. Many people consider that driving can be a hard activity, especially if it’s made for a longer period of time each day. There are separate opinions, and a bus driver will always tell you that he or she has a job that leaves them tired. However, that’s just a difference of opinion, but mostly because of the working conditions that there are available. A bus driver will always drive the bus on the same route, without doing nothing more and without seeing anything else on the road except the regular route. 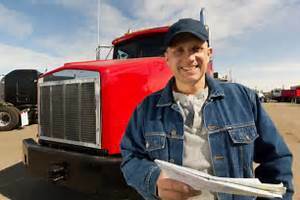 Even so, if you’re thinking of getting a more spectacular job that involves driving, being a truck driver is the best choice that you can do, especially if you have the right credentials and the needed experience. Let’s see what are the benefits of being a truck driver, so that you can see what you’d miss out. A skill can be developed only by practice, and this is something that everyone knows. Being a truck driver means that you get paid to drive, or better said you get paid to exercise the skill that you already have. The more miles you will make on the road, the more experience you will get. A good driver will be as good as the experience that he or she has behind him or her. Yes, this is something indeed wonderful. Unlike a bus driver that sees only the same route every day, a truck driver will get on wonderful destinations, being able to see not just landscapes along the way but also new cities and new areas. You can see the whole world in a few years if you take the job in an international company, because many of them make deliveries all around the world, and this offers you the possibility to see the world and be paid for this. Traveling is not just for getting experience in driving, but you’ll also get to know the world that you live in. You’ll get in contact with different people, eating different food and knowing different cultures. It’s a job that expands your horizons and helps you see that there are many things that are worth seeing in the world, apart from your local area. Unlike other types of jobs, this is something extremely secure. This is because the specialized companies are always looking for professional truck drivers to work on their trucks. It’s something that is hard to come by because not everyone has the needed skills to become a truck driver – you need more than theoretical knowledge, and most of the times you need a wide experience in driving the B category (for small cars) before going for the adequate category for trucks. Even if the payment is the first reason that people think about when they consider being a truck driver, there are also other benefits that you can think about. First of all, you’ll have a work flexibility that can’t be found anywhere else, not to mention the freedom to make your schedule most of the times. Those who are truck drivers for a longer period of times have seen the world and also learnt a lot of interesting things, so it’s definitely a job that is worth taking into consideration.